The President of the United States Of America George Bush and his wife, former First Lady Barbara Bush have been hospitalized to intensive care at Houston Methodist Hospital in order to address an acute respiratory problem, stemming from pneumonia. The Ex President who is 92 now, went through a procedure to clear his airway that required sedation. His spokesman Jim McGrath said "an acute respiratory problem stemming from pneumonia. Doctors performed a procedure to protect and clear his airway that required sedation,"
George W. Bush was first hospitalized in the weekend due to shortness of breath and a cough and was treated with IV antibiotics, while the wife later joined when fatigue and coughing were experienced. 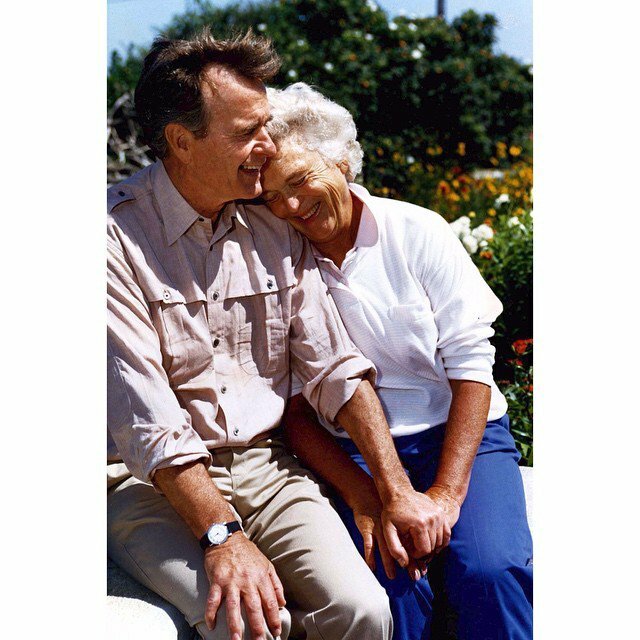 Reported to have bronchitis, the former First Lady is responding to treatment while the Husband who was initially responding to treatment changed and he is now admitted to the intensive care unit, sedated and intubated, which is the first time the ex-president got intubated. George Bush had in the past suffered some health storms with a form Parkinson's disease rendering him paralyzed and unable to walk also falling in his home, broke his C2 vertebrae in his neck and many other health problems between 2014 and 2015. Bush wrote, in a letter first reported by ABC News. "My doctor says if I sit outside in January, it likely will put me six feet under. Same for Barbara,"
"So I guess we're stuck in Texas."